This list is not exhaustive, so if you can think of any others let me know—and go ahead and submit away, please! 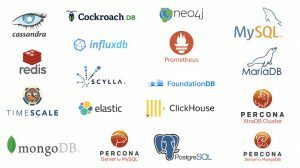 Of course, MySQL, MariaDB, MongoDB and PostgreSQL all have their own tracks, too, so if you have any interesting talks for those, please don’t hesitate to send them in for review by their respective track steering committees. Did we not mention? Yes, it’s Percona Live!